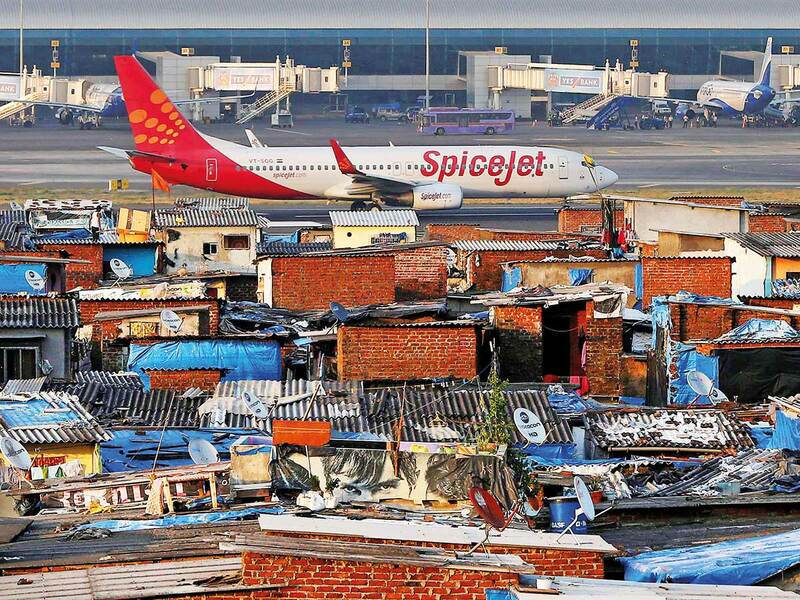 New Delhi: India is mulling options to save jobs at Jet Airways India Ltd. including asking low-cost carrier SpiceJet Ltd. to consider taking over some of the debt-laden company’s aircraft, people with knowledge of the matter said. The proposal involves SpiceJet, led by Chairman Ajay Singh, acquiring as many as 40 of Jet Airways’ grounded planes that are owned by lessors. The government has also reached out to other carriers. Both SpiceJet and Jet Airways operate Boeing Co.’s 737 planes making it feasible for the budget carrier to fly the aircraft. SpiceJet, which had cash of about $15 million (Dh55 million) as of September 30, will initially operate a two-class configuration of business and economy under the SpiceJet brand. Lessors have been in discussion with SpiceJet to take over the planes. Operating 40 aircraft will help employ as many as 250 pilots as well as cabin crew, maintenance workers and engineers. Prime Minister Narendra Modi is keen to avoid the collapse of an airline that employs about 23,000 people, weeks before elections. The need to save jobs at the beleaguered carrier became urgent after lenders led by State Bank of India failed to convince Etihad Airways, which owns 24 per cent of Jet Airways, to infuse funds into the Indian carrier. Jet Airways has amassed about $1.1 billion of debt and has fallen behind on paying loans and salaries. Once India’s second-biggest airline it has been forced to ground almost two-thirds of its fleet because its inability to pay lessors. An Indian government official said they were trying to revive Jet Airways by changing its management but any decision on the carrier’s future will be a commercial decision by the lenders. Lenders are seeking Jet Airways Chairman Naresh Goyal’s resignation and want him to reduce his stake to below 10 per cent. Banks will infuse 15 billion rupees as emergency fund to keep the airline afloat once Goyal resigns, a source said, asking not to be identified because the talks are not public. A group of Indian state-run banks want Jet Airways’ embattled founder and Chairman Naresh Goyal to reduce his stake in the carrier to 10 per cent, news channel CNBC-TV18 reported on Thursday. “Banks want Goyal to bring his stake below the 17 per cent envisaged in the bank-led provisional resolution plan (BLPRP),” sources told CNBC-TV18. The state-run banks are also pushing Goyal to step down. The government has asked state-run banks, led by State Bank of India (SBI), to rescue Jet without pushing it into bankruptcy. Several people who have worked closely with Goyal have told Reuters that his penchant for control has emerged as a major obstacle in negotiating a rescue deal.